Mary Robinson addressed the Commonwealth Foreign Ministers on 25 November 2015 before the official start of The Commonwealth Heads of Government Meeting (CHOGM). Mary Robinson highlighted that by addressing three fundamental injustices – extreme poverty, chronic inequality and dangerous climate change – Commonwealth leaders can have transformative impacts on the issues that are the focus of the CHOGM 2015 meeting: migration, violent extremism and radicalisation, as well as human rights and climate change itself. 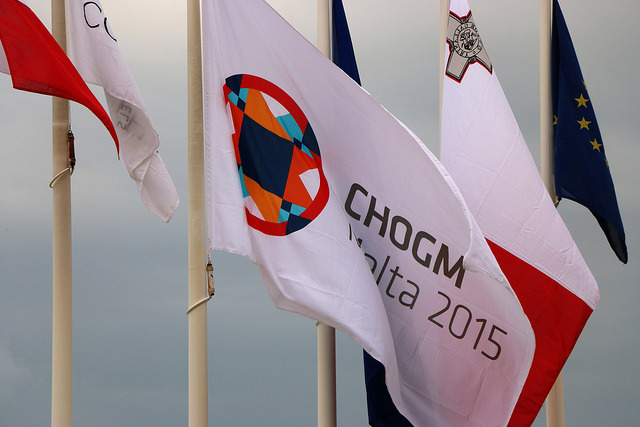 ‘CHOGM 2015 – Adding Global Value’ takes places from 27-29 November 2015 in Malta. Find out more about the Foundation’s work on Human Rights and Climate Change.